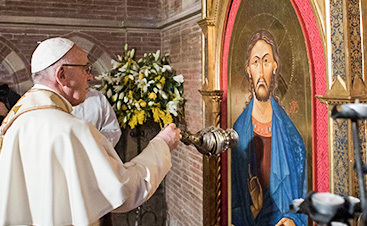 A reflective time set aside with Christ and the saints through the holy icons. Seven days of intensive tuition in the heart of the ancient city of Bethlehem. A time to paint, pray and drink deeply from the Presence of the Lord. The courses introduce you to everything from drawing and geometry, to painting in egg tempera and water gilding. The April course also includes preparing a board with gesso. All levels of experience are very welcome. We have been running these courses since 2010, and brought together icon lovers from Australia to Canada, Mauritius to France. 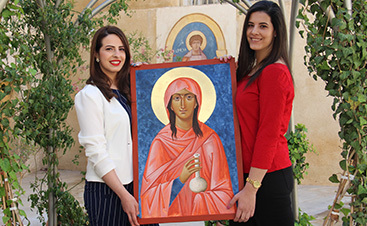 With expert supervision participants experience all aspects of icon making, while receiving spiritual and theological insights into the world of iconography. 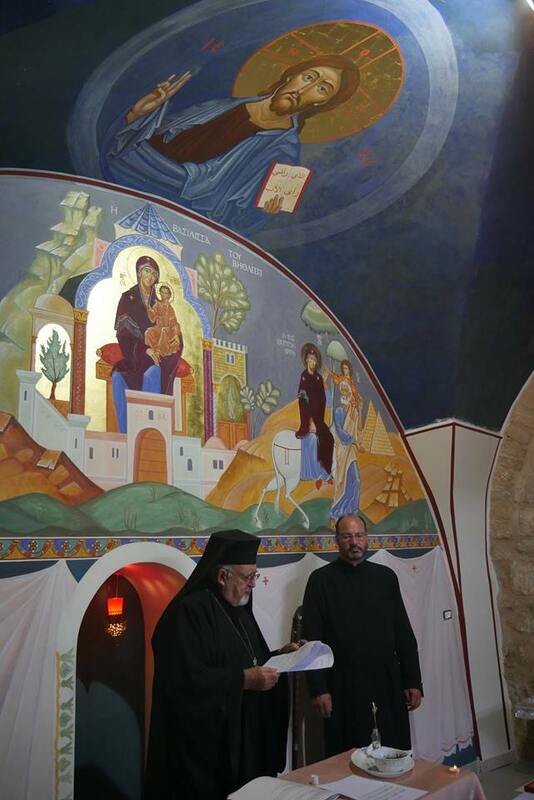 The group has full use of the Icon Centre, a tranquil oasis at the heart of ancient Bethlehem. It is a very safe location close to Nativity Church, though participants should always note govt travel advice and take out their own travel insurance. We have a beautiful chapel. Tuition cost for seven full days: £250. This is payable upon arrival in Israel Shekels. We provide some materials but please see the list below for things you will need to bring, or else purchase when you get here. Participants must arrange their own accommodation, transportation to and from Bethlehem, flights and insurance. Please arrive in time for a prompt 9am start. Participants will need to provide their own pigments, brushes and for the Autumn course a gessoed board. This leaves you free to keep the costs low or to invest in better quality tools and materials as you are able. We do have cheap supplies of small quantities of pigments that can be bought on arrival, and from time to time sets of brushes. Boards can also be ordered from us, usually for an additional cost of £35. If you wish to gild your icon then you will need to bring gold leaf with you. We can advise on this if asked. The following supplies are needed to participate on one of our intensive courses. Most can be purchased from us upon arrival, though please warn us in good time so we can make sure we have what you need in stock. Azurite/ Ultramarine, Vermilion, Italian warm Ochre/ Havanne Ochre, Caput Mortum, Burnt Sienna. For water gilding – loose leaf gold, at least 22ct, and ideally 23.5ct extra thick. 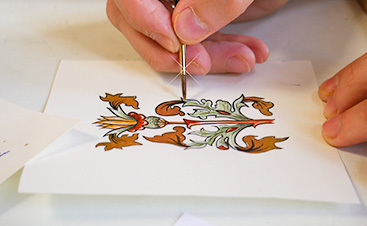 For oil gilding – either loose leaf gold leaf or transfer gold leaf any type. Ideally 4B, 2B, 2H and 4H pencils, more if desired. Putty rubber and hard eraser. Ruler & compass (with ink nib desirable). Notebook suitable for making illustrated notes. Lunches are included and are social occasions, time to make friends and share stories. Bethlehem is awash with everything from AirB&B to four star hotels at reasonable prices that can easily be found via the internet. ©2018 Bethlehem Icon Centre - Do not copy. All rights reserved.